TV5’s program History bagged the Outstanding Achievement in the Broadcast Media (Television) category in this year’s Hildegarde Awards, staged by St. Scholastica’s College (SSC) Manila’s Mass Communications Department. 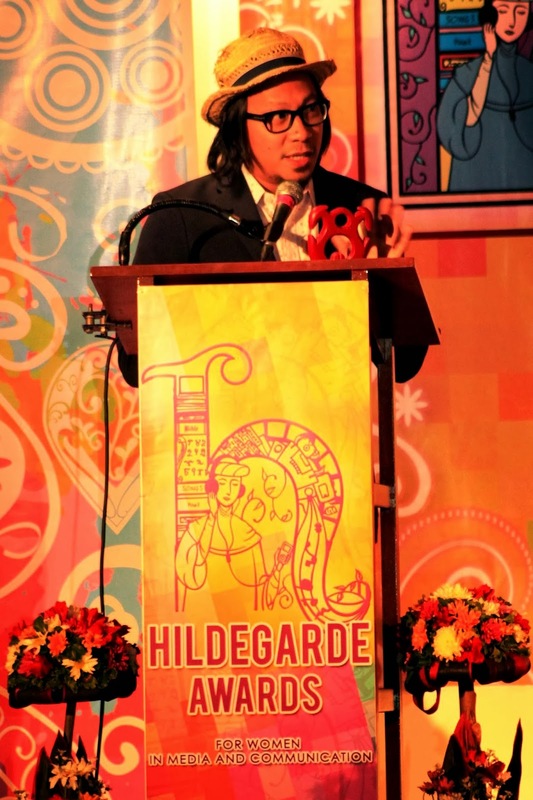 Now in its 8th year, Hildegarde Awards is consistent with SSC’s vision of building a gender-fair society. It is established in honor of the 12th century Benedictine abbess, mystic, musician, and healer St. Hildegarde of Bingen, aiming to celebrate women’s achievements in mass media and its allied fields. Hosted by musician, poet, and TV personality Lourd de Veyra, History gets a different brand of history lessons and trivia. Taglined “Tsismis noon, Kasaysayan ngayon,” the show looks into controversies in Philippine History that have long intrigued scholars and common citizens alike—basically, history lessons they don’t teach you in school. History is part of News 5’s “Karunungan" series, under the “KBO” block, which stands for "Karunungan, Balita, Opinyon.” KBO aims to strengthen News 5's position as a credible source of knowledge by offering a unique mix of informative and educational shows every night. History airs every Wednesday, 10pm on TV5. In photo: History’s host Lourd de Veyra receives the trophy at the awarding ceremonies held recently at St. Scholastica’s College in Manila.